What's your high score? 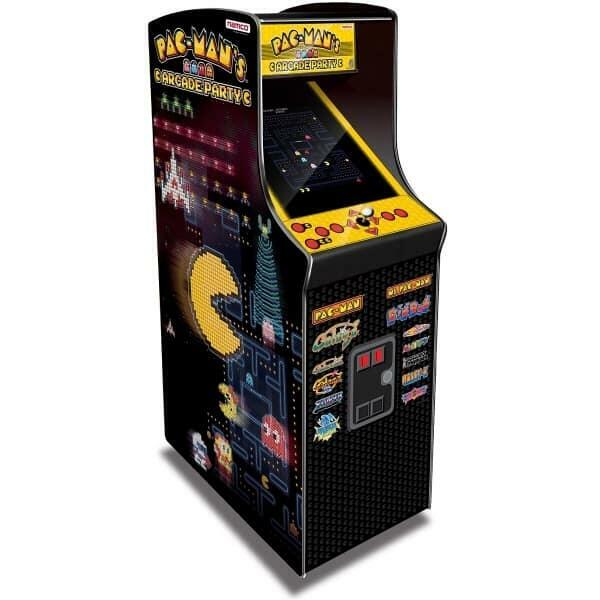 With this upright arcade cabinet 13 classic video games from Namco come into your basement or video game room including Pac-Man, Ms. Pac-Man, Galaga and more! While Pac-Man's Arcade Party features all of your favorites from "The Golden Age of Video Arcade Games", you will not have to spend a million quarters achieving high scores. Each game is authentic in gameplay while the arcade cabinet offers a vintage feel, granting you and your guests the fun experience you remember from the video arcades while growing up.